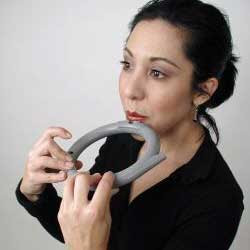 Music Thing: eBay of the day: The Ringflute. It's a flute. In a ring. eBay of the day: The Ringflute. It's a flute. In a ring. he is the next EINSTEIN! always thought a ringflute was a variety of woodwind played through the arse. thanks for clearing this up.